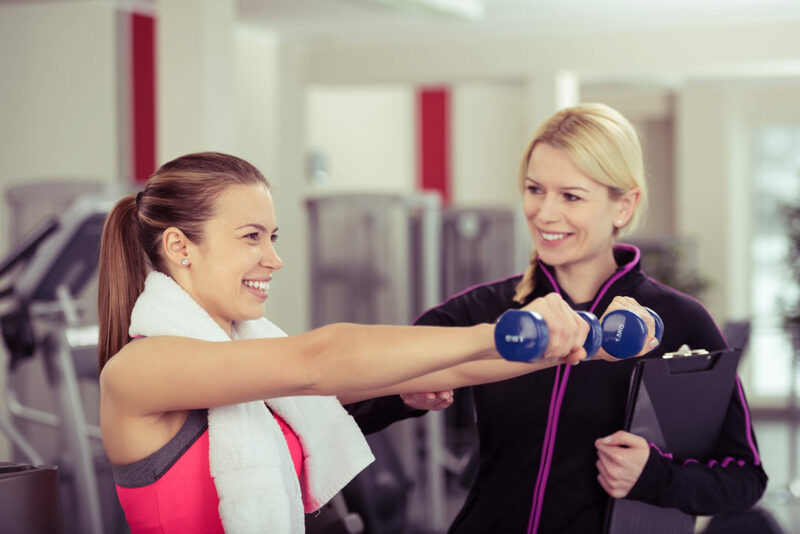 Your personal trainers have a significant impact on the client retention and overall profitability at your fitness center. Personal trainers are on the front lines when it comes to building relationships with members and encouraging them to continue striving toward their fitness goals. To build the best team of personal trainers at your fitness franchise, make sure you have a standardized hiring process in place. Below, we pulled together several tips to attract and hire quality personal trainers. Rather than waiting until you have an immediate hiring need to post a job opening, make an effort to keep at least a handful of job openings posted on your career site at all times. Continuous openings will get prospective personal trainers excited about the possibility of working for a growing brand. It will also help you capture passive candidates – 84 percent of job applicants would consider leaving their current company – even if they are happy in their current roles – if another company with an excellent reputation offered them a job. And if the right candidate comes along, you might even consider making a hire sooner than anticipated. In addition to continuously keeping job openings posted, make sure you’re leveraging a multichannel sourcing strategy that includes national job boards, industry-specific job boards – such as FitnessJobs.com and SportsCareerFinder.com – social media, employee referrals and a compelling career site. On your career site, highlight the benefits of working for your business, including company culture, benefits, opportunities for continued training and learning – such as reimbursements for additional personal training certifications certification – and employee testimonials. A pre-screen survey is an important tool to help automate the applicant review process. With prescreen surveys, once a personal trainer submits an application, he or she will automatically receive an survey that can gauge his or her fit for the role. We’ve found 40 percent of applicants don’t even bother to complete the survey – meaning only the most engaged candidates who truly want to work for your business take the time to fill out the survey. Once complete, the surveys are then automatically scored, so only the strongest applicants get moved to the candidate stage of the hiring process. For personal trainers specifically, prescreen surveys offer you the opportunity to ask knock out questions to determine whether or not the applicant is qualified for the role. For example, if the role requires trainers to have specific certifications or be available certain times of the week, you can ask these questions up front before you waste your HR team’s time or the applicant’s time when he or she won’t meet the job requirement needs. A personal trainer might check every box when it comes to required certifications and experience, but having the right personality and attitude to connect with your members is just as important. The interview phase of your hiring process offers you the opportunity to see if candidates seem like a culture fit for your gym. Get a better feel for how a trainer might interact with your members by asking such questions as, “Walk me through your first training session with a new client. How will you get to know the client and his or her goals?” or, “Can you tell me about a time you overcame a challenge with one of your clients? What did you learn?” By asking such questions, you can determine whether or not a candidate is personable, and gauge how passionate the candidate is about helping clients see results. Make sure you’re asking the same questions of every personal trainer you interview, so you can objectively evaluate each interview while maintaining compliance. Verifications are especially important when you’re hiring personal trainers, because they may could end up placing clients in physical danger if they’re embellishing certifications or education background. Reference checks from both former employers and clients can also either validate your interest in a strong candidate or help you avoid the mistake of a bad hire.